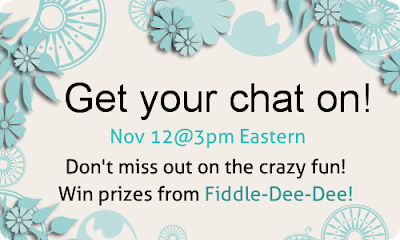 Fiddle-Dee-Dee Designs: GET YOUR CHAT ON! Join me on Saturday, November 12, 2011 at 3 pm EST/2 pm CST for the Featured Designer chat. There will be lots of fun and prizes ~ hope to see you there!